Waha Capital, a leading Abu Dhabi-based investment company, through its UAE healthcare subsidiary Anglo Arabian Healthcare (AAH) has completed the sale of its full equity stake in Proficiency Healthcare Diagnostics (PHD) to Al Borg Medical Laboratories, the GCC’s largest chain of private laboratories. The transaction, which was previously announced on May 21, 2017, involves an equity sale price of approximately Dh184 million for 100 per cent of PHD, with the net impact on Waha Capital being an accounting gain of approximately Dh94 million which will be recorded in the company’s Q4 2017 financial statements, Waha said. AAH acquired a 70 per cent stake in PHD in April 2013 and then increased its stake in the business to 93 per cent. 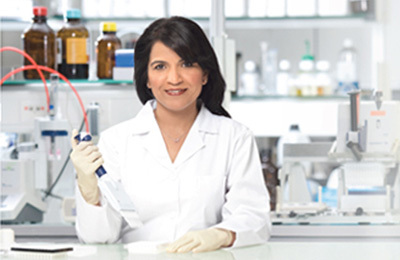 During the holding period, PHD solidified its position as a leading independent diagnostic services provider in the UAE. The company has expanded its footprint since AAH’s acquisition by adding new branches in Al Ain, Dubai and the Western Region, which led to a more than doubling of revenues and earnings since 2013. “Waha Capital entered PHD at a key stage in the company’s growth trajectory, supporting the business in achieving impressive scale,” said Salem Rashid Al Noaimi, Chief Executive Officer and Managing Director of Waha Capital. Anglo Arabian Healthcare, which is a seed asset in Waha Capital’s private equity business, operates multiple healthcare platforms with 35 healthcare assets across Abu Dhabi, Dubai, Sharjah, Ajman and Ras Al Khaimah.